Physicists working with the Large Hadron Collider in Switzerland may have stumbled upon a particle that could change our understanding of the universe. Two teams of physicists working with the Large Hadron Collider at the European Organization for Nuclear Research, or CERN, in Switzerland have reported independently that they have recorded hints of what may be a particle never observed before. According to a report from the New York Times, researchers believe that the mysterious particle may resemble a heavier version of the elusive Higgs boson. Another theory is that the particle may be a gravitron, a particle that carries gravity. This would suggest that there are more dimensions in space-time than once thought. 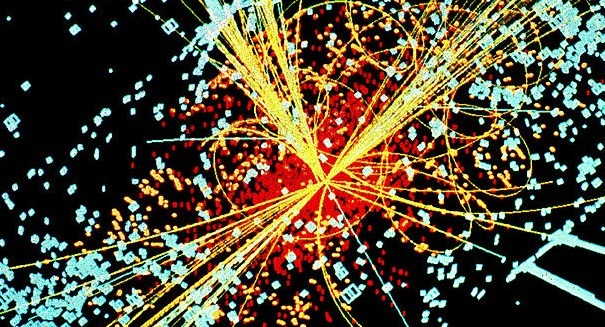 The results of the most recent LHC experiments have been followed by speculation that the currently accepted Standard Model of physics may soon be turned on its head, but CERN researchers are hesitant to call the finding a major breakthrough until they can reproduce their results. The physicist explained that the “bump” in the data gathered during the Atlas experiments had roughly a 1-in-93 chance of being a mistake. Despite these odds, the scientists were intrigued when they found out the other CERN team, CMS, reported an almost identical bump in their data. Physicists are not known for being superstitious, but the discovery echoes that of a similar data bump that preempted the discovery of the Higgs boson particle roughly four years ago. CERN officials gave a speech about the results to a packed auditorium on Tuesday. The results of the experiment were drawn from the analysis of almost 400 trillion collisions between protons within the LHC. The particle, if it turns out to be real, could completely change the study of quantum physics, and it has the scientific community excited to see what comes next. A press release from CERN describing the details of the recent experiments can be found here.